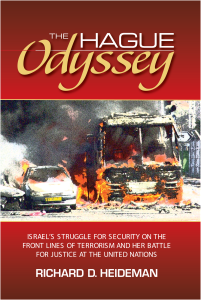 The Anti-Terrorism Act (ATA) of 1992 allows people who were injured by acts of terror abroad to bring civil suits in federal court.Litle was a mass tort consolidation case with 117 plaintiffs who were injured in suicide bombings and attacks in Israel, 40 wrongful death cases, along with 440 family members of those injured or killed. The plaintiffs claimed that Arab Bank knowingly provided financial support to terrorist leaders and the families of terrorist operatives, including suicide bombers. This case marks the first time that a financial institution has been brought to trial – and held liable –under the ATA.